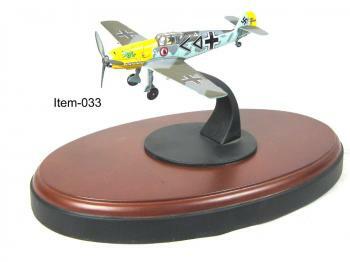 German ww2 ME -109 Fighter [Item-033] - $11.95 : Metalcraft by Blair - military gifts and memoribilia. Most all items are new-- but have been on display. NO BOX : When (no box) is shown, we only mean it is not in the original box. Oval wood base is not included-- it is available at an extra cost .